Along with an outdoor pool, this smoke-free apartment building has a spa tub and a business center. Free WiFi in public areas and free self parking are also provided. Additionally, a meeting room, a children's pool, and laundry facilities are onsite. Each apartment features a kitchen with a refrigerator and a microwave, plus free WiFi and a flat-screen TV with cable channels. Added amenities include a balcony, a DVD player, and room service. In addition to an outdoor pool, Perth Ascot Central Apartment Hotel provides a spa tub and a children's pool. A computer station is located on site and wireless Internet access is complimentary. This 4.5-star property offers access to a business center and a meeting room. This luxury apartment also offers a library, tour/ticket assistance, and barbecue grills. Complimentary self parking is available on site. 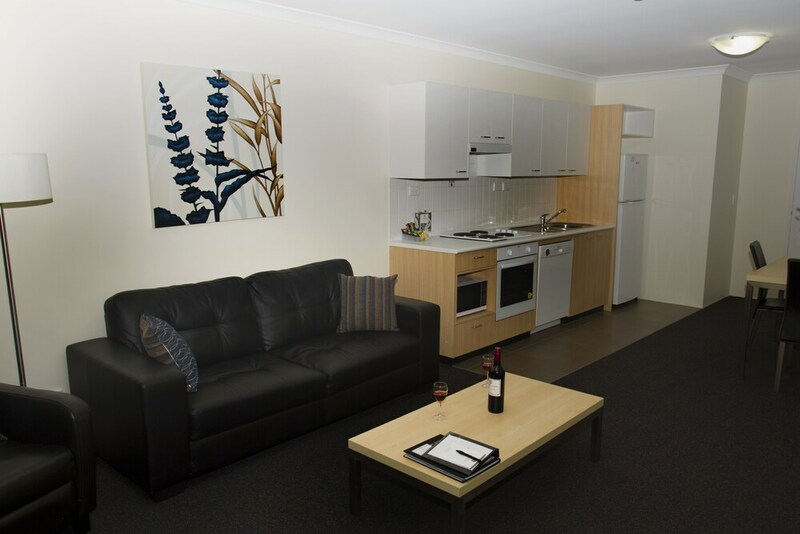 Perth Ascot Central Apartment Hotel is a smoke-free property. This property requires the credit card holder of the card used for payment to present matching photo identification at check-in. A printed or electronic copy of the reservation must be presented at check-in. For more details, please contact the property using the information on the reservation confirmation received after booking.